TIMESMALANG, MALANG – Food has become a middle name for Malang. Well as we know that Malang has lots of choices about food. From breakfast menu to lunch, or may be dinner. You could choose anything you like in Malang. 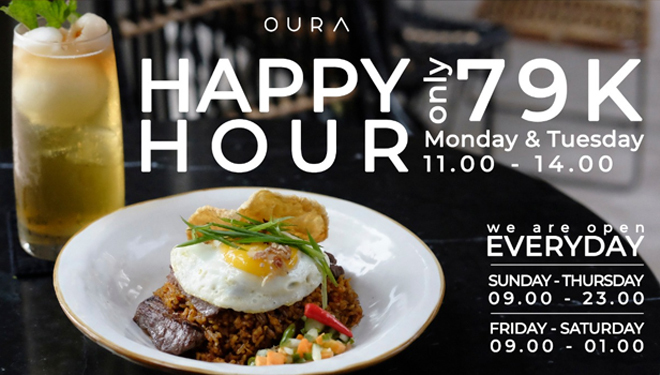 However, you might need to try this restaurant Oura Malang at Jalan Pahlawan Trip no.11A. The restaurant which has a fine dining concept offers you an interesting happy hour lunch with a friendly budget. You could enjoy this Happy Hour Lunch on every Tuesday a d Wednesday at 11.00 – 14.00 with only IDR 79.000,. 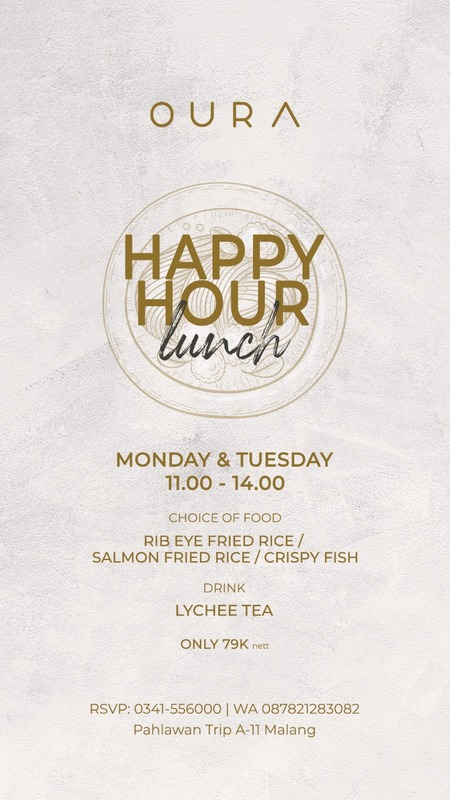 They have rib eye fried rice, salmon fried rice, and crispy fish with a super fresh lychee tea for the beverage. “We would like to give the customers a friendly budget lunch but with a good quality food as well as the taste," Oura Public Relation, Radwitya Febrian said. 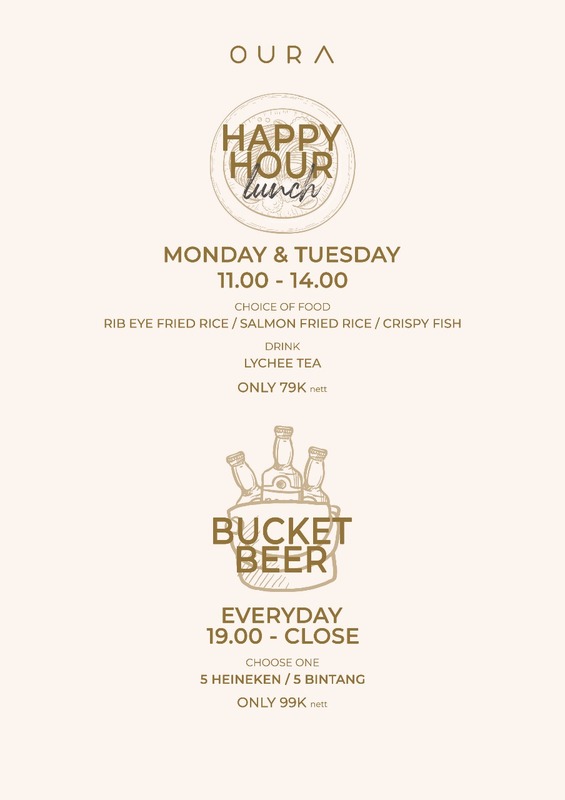 Beside the Happy Hour Lunch, Oura also offers you Beer Bucket Package. With only IDR 99000 you could get 5 bottles of Heineken or Bintang everyday at 07.00 PM.